England attacking skills coach Mike Catt reflects on the vision of exciting Bath backs Jonathan Joseph and George Ford by declaring: "They get it." Joseph and Ford will join forces for a final time in the 2015 RBS 6 Nations when France arrive Twickenham on Saturday with the aim of ruining Red Rose title celebrations. Four tries in four matches identify Joseph as the most dangerous player in this year's championship while Ford, who also has 10 caps, strengthens his claim to the playmaking duties at the World Cup with each game. The duo will spearhead England's final assault on the title - Wales and Ireland could also be crowned champions once the three staggered kick-offs have been completed - and Catt views them as special talents. "George and Jonathan have a massive understanding, as seen in George's ability to hit Jonathan early," Catt said. "What you have to remember with Jonathan is that it's not about his quick feet, it's that he gets the game. "He's a very good communicator and the big thing I really like about him is that he's got a very, very low error rate at international level. He does a lot of good things and he also gets the game and doesn't have those mistakes in him. That's critical at this level. "He and George both see the game and play what's in front of them and make the right decisions based on what's there. That's what it's all about. We base everything on decision-making. It is all about the decisions you make so if you are not seeing the picture in front of you, then you will make the wrong decisions a lot of the time and put yourself under pressure. "Jonathan and George very much live in the moment in a game, they don't look ahead or behind, it's about what's in front of them that matters. And they get that. New Zealand have a load of players like that. It's just that in certain positions it's nice to have guys who can do that." Ford wrestled the number 10 jersey from Owen Farrell during the autumn with his form since, combined with his rival fly-half's knee injury, offering ammunition to those who believe he should have been picked sooner. 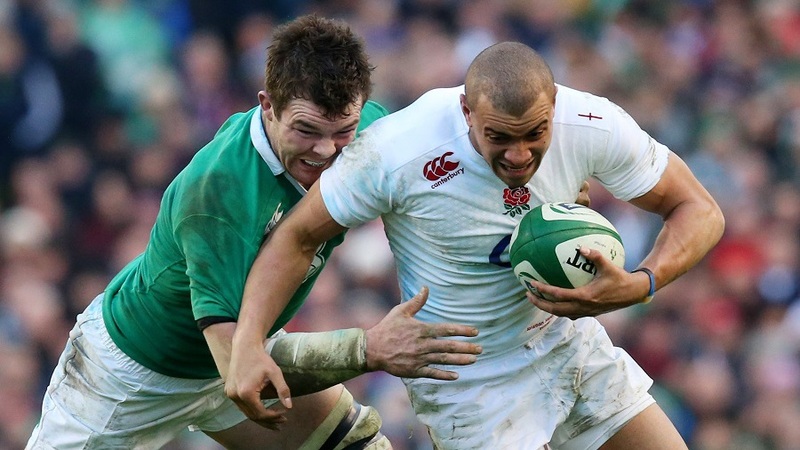 He was outstanding against Scotland, helping himself to a try and producing a well-timed pass to send Joseph over. "George had his 22nd birthday on Monday. What were we doing at 21 years old? Not playing international rugby," Catt said. "George is exceptional, he really is. He's very, very comfortable with where he is as an international player."